Relax Your Mind. Revive Your Spirit. Renew Your Nails. At Glamour Salon and Spa in Colorado Springs, CO, relaxation experts soothe your soul with a variety of spa services that meet your every need. 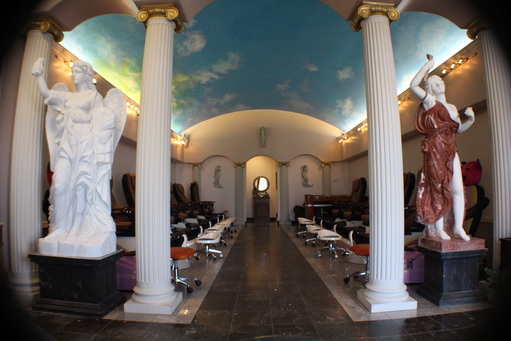 Offering tantalizing pedicures and manicures, waxing services, as well as skin and hair care. Our veteran nail technicians soothe away dry skin and help heal tired hands and feet, leaving you feeling and looking amazing. We are also kid-friendly with pedicure chairs just for kids! Skilled skin care masters provide you with a variety of skin care options which include, brow, face and body waxing, massage and facials. If you need a new style, our stylist can revamp your look with a great new cut or color. Glamour Salon and Spa is one of the few top rated nail salons in Colorado Springs, CO. Come and experience it for yourself!